The design is evocative of a study padlock. Just pick it up and you’ll quickly gain an appreciation for the challenge that lies ahead – this puzzle will not open easily! The interior is comprised of two elliptical pieces, locked together tightly around the circular pieces and obstinately refusing to be released. But don’t give up! Repeatedly separate and then put them back together and prove you have what it takes to unlock this riddle. The theme is "obstinacy.” Designed by Korean designer JinHoo Ahn. Well built puzzle, difficult standard. Hanayama cast puzzles are always exceptionally good. 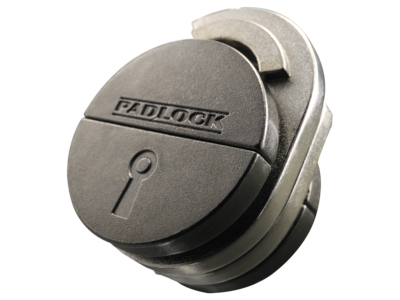 Involves partially hidden information: the internal state of the padlock is not (fully) visible from the outside. 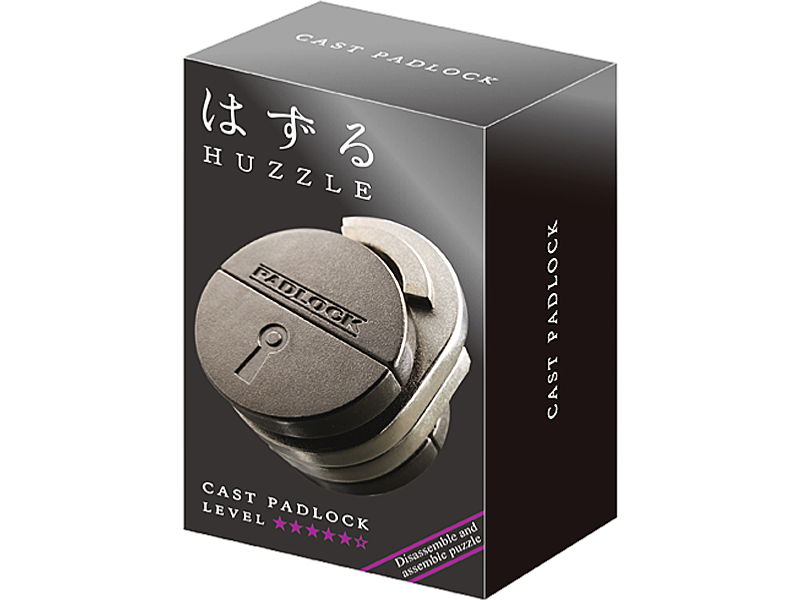 Note that it cannot be used as a puzzle padlock; that is, the lock will easily slide open/close, without having to solve the puzzle. The objective of the puzzle is to take the lock apart (I expect into four pieces).